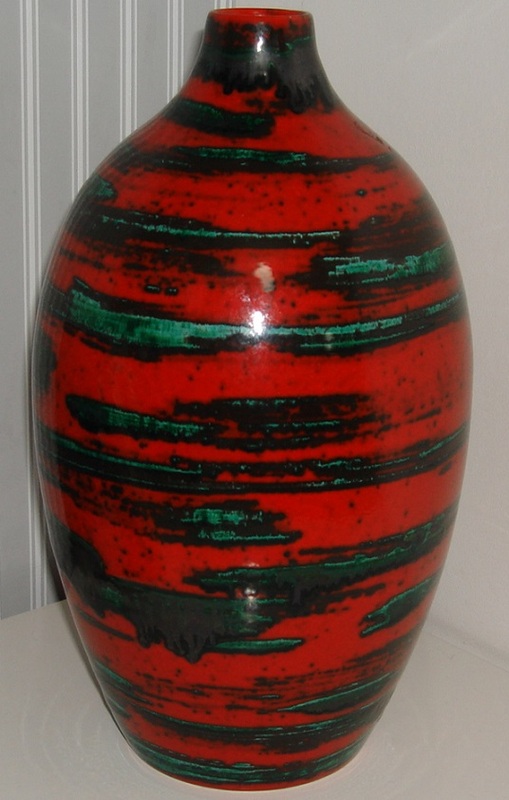 Red and green vase, German? Glaze reminds me of Cortendorf so thinking maybe German? 12 inches high. 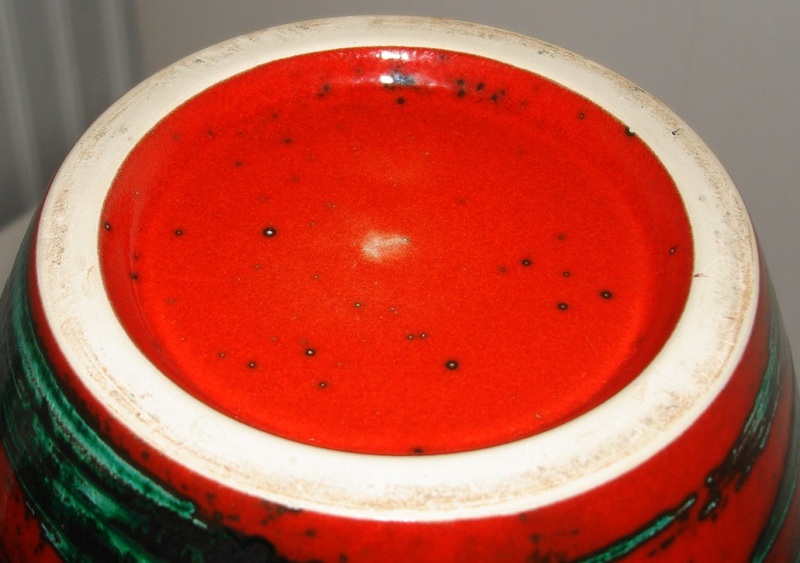 Re: Red and green vase, German? are you sure it's old TC? Good question, it doesn't appear to have any crazing at all.